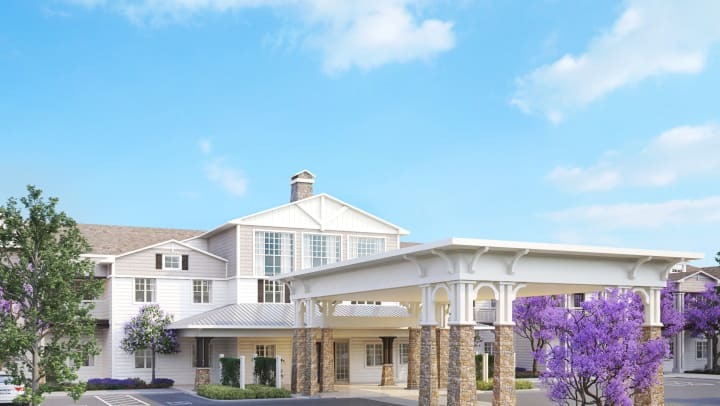 Clearwater at Sonoma Hills, assisted living and memory care community, opens Information Center. The Clearbrook memory support neighborhood serves seniors with memory loss through tailored programming to assist with comfort and ease of mind. Offering carefully designed services for individuals with Alzheimer’s and other forms of dementia, our compassionate associates develop care plans based on their abilities while also celebrating their relevance. Clearwater in Sonoma Hills is built with proactive attention to detail including secured areas, easy-to-navigate spaces and an adaptive atmosphere. Residents will enjoy the philosophy of our Empowered Living® programs to enhance their lifestyle. Exceptional chef-prepared meals will be offered three times a day in the community’s full-service dining room, exhibition kitchen, outdoor dining area, lounge or bistro. Additional high-end amenities include a theater & learning center, poker den, salon, fitness center, bocce ball and putting greens.